Why Choose an Lakes Area Home Inspector Inspector? Only an ASHI inspector can provide your customers with a professional, personalized inspection that combines more than 30 years of the highest technical standards, adherence to a strict code of ethics and the very best in customer service and education. We call this “The ASHI Experience”. 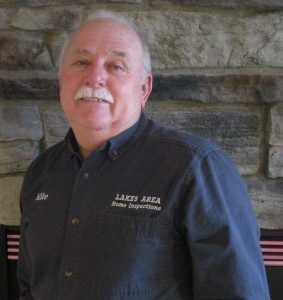 When you choose Lakes Area Home Inspections Inc., you’ll be working with professional home inspectors who have passed the most rigorous technical examinations in effect today, including inspectors who are required to perform more than 250 professional inspections before they’re even allowed to call themselves ”certified”. No other professional society can match the credentials of an ASHI inspector. Kyle Stiverson is the Owner/Operator of Lakes Area Home Inspections Inc. He has an extensive background in the development of Senior Housing Facilities. 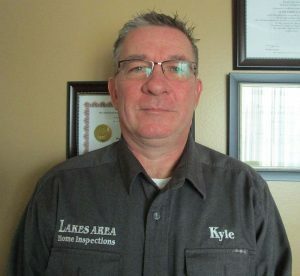 Serving as President for 15 years in the housing development industry, Kyle brings a wealth of knowledge to the Lakes Area Home Inspection team and is the principal owner. Kyle has been married to his wife Silvia for 14 years and in his spare time enjoys fishing the waters of Lake Michigan with his family and friends. Kyle’s proven attention to detail during all phases of housing development is carried forward to support LAHI clients during the home inspection process.“I believe that if you listen first to the needs of others you will be in a much better position to help”. Michael Von Gunten has extensive experience in the building trades. He has been married to his wife Bonnie for 38 yrs, and has one son David, and is an active member of Christ Lutheran Church located in Paddock Lake. Michael enjoys shooting pool, hunting and fishing, and is a member of the Twin Lakes Sportsman’s Club. Michael started working in construction at the age of 14 working with his father and grandfather, remodeling homes, new construction, garages, commercial buildings etc. He prides himself on the amount of continuing education credits, he attends each year (40-60 hrs per year) to stay on top of what is happening in his profession. Servicing Wisconsin and Illinois since 2000 with over 15000 inspections completed. Computer generated report delivered on-site, and/or e-mailed to your office same day. Services offered: Residential Inspections, Radon Testing, Commercial Inspections, Certified Mold Inspector, Condos/Town Homes, and Rental Unit Weatherization Inspections (DIHLR), and Home Energy Tune up Inspections. Locally Owned Company by Kyle Stiverson. State Licensed Wisconsin #2835-106 and Illinois #450.011429. Mike was very helpful and did a quality job with the inspection and the feedback.